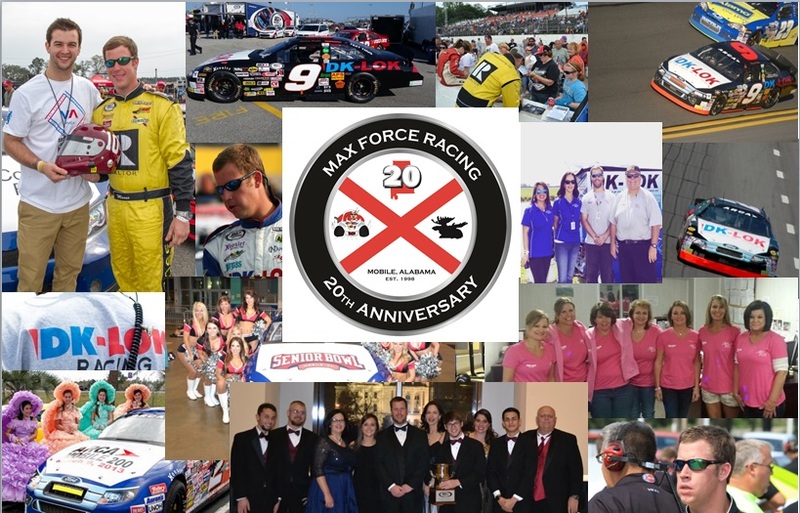 2011 � Moose and his Max Force Team were the Ironman of the Gulf Coast this season as the only team to compete in every Late Model race (Pro & Super) at Mobile International Speedway and Five Flags Speedway. The Moose finished 5th in Midwest Cooling Towers Series at Mobile, 8th in the Allen turner Hyundai Series at Five Flags and 10th in the Sunoco Gulf Coast Championship Series in the Super Late Model. Tested ARCA car for Andy Belmont Racing at Daytona Superspeedway. 2012-The Moose made his first ARCA start in the Inaugural ARCA-Mobile 200 at Mobile International Speedway. A 20th place finish at Talladega followed along with a couple of ARCA starts for Venturini Motorsports. When he wasn�t ARCA racing the Moose was competing in the Miller Lite Super Late Model Series. 2013-Teamed with Hixson Motorsports for first full season of ARCA competition, finished 9th in the Championship standings. Awarded HG -Adcox Sportsmanship Award. 2014-Second full season of ARCA competition, finished 7th in the Championship standings. 2015-First full season as stand alone race team out of Mobile, Alabama. Finished 8th in points and led first laps on ARCA tour.